1. Clean, wash and cut the fish into medium sized pieces. 2. Marinate the cut fish with turmeric powder, ground black pepper, garlic powder, onion powder, lime juice, chopped coriander leaves and salt. Refrigerate it for 4-5 hours. 3. Whisk an egg in a bowl. Take the fish pieces and dip in the egg. 4. In a ziploc bag, put the panko bread crumbs. Add little salt, ground black pepper, 1 tsp olive oil and cumin powder to the bread crumbs for extra flavoring and mix well. 5. Put the fish pieces into the ziploc bag and shake well so that its well coated with the bread crumbs. 6. 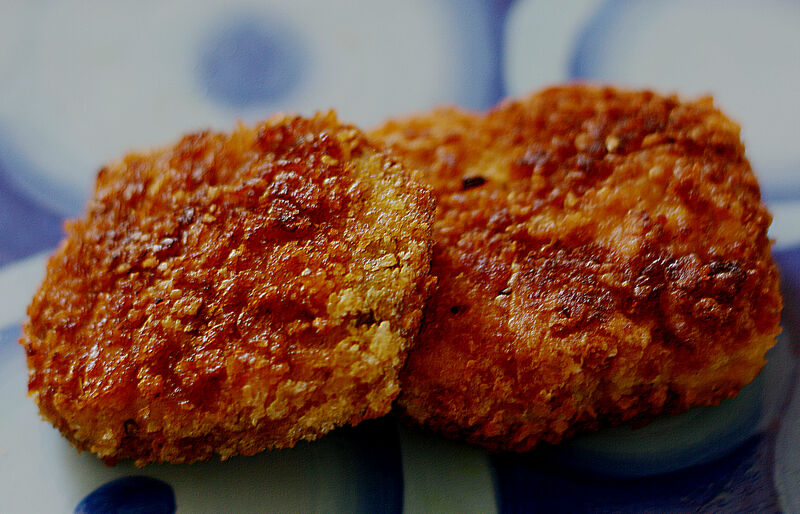 Repeat the process of dipping in egg and then coating with bread crumbs for thicker breading. 7. Heat oil in a pan. Shallow fry the fish on medium-high flame till the coating turns brown on both sides. 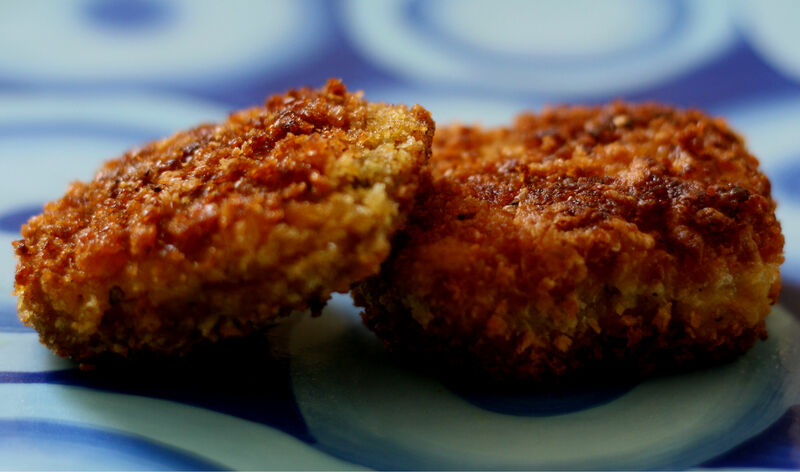 This entry was posted in Appetizer 'N' Starters, Quick 'N' Easy Recipes, Specialities-Seafood and tagged Breaded fish, Breaded fish recipe, Breaded tilapia recipe, Lime and pepper seasoned fish, Lime pepper breaded fish, Lime pepper fish fry, Pepper and lime flavored breaded fish. Bookmark the permalink.